We are a Family Business… KSM Mechanical is a Colorado Springs local family owned and operated business. We pride ourselves on our knowledgeable experience, customer service and attention to detail. With one of the only true sheet metal fabrication shops in Pikes Peak Region, we are uniquely equipped to provide quality duct work, custom ventilation and other fabricated features as needed. No matter if you are a commercial building or a residential structure, KSM can assist with all of your interior air systems and installations. We offer a variety of products from multiple manufacturers to make sure we can accommodate any feature preferences and budget requirements. When you want the best in HVAC service, count on Hardcastle Heating & Air, LLC. We are a Carrier Dealer with over 30 years experience in the HVAC industry; however, we repair, and service all makes & models. We are locally owned, and our mission is to serve our community with pride and dedication. Our commitment to quality and outstanding service will earn your trust. 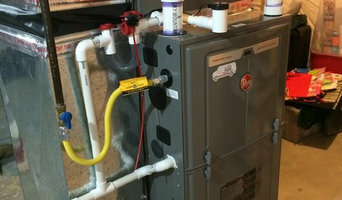 Our founder has over 10 years of experience working with HVAC equipment. T & W Indoor Comfort prides itself on being a quaint company that dedicates itself to our customers needs. Fully licensed and insured, our team offers personable and affordable heating and cooling services for those in Fountain, Colorado. Ensuring that our job was done to your complete satisfaction is important to our team. We run on honesty and integrity. For example, once our team has fixed something in your home, we reach back out to you in a matter of days to see how everything is working. Through our company, you will have peace of mind knowing our services are top notch, affordable, and that our team is true to our word. 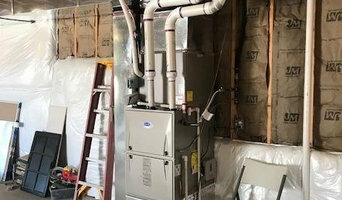 For more than 15 years, the accomplished Colorado Springs heating and cooling technicians at Bruno’s Heating and Cooling have provided detailed and competent HVAC services. Our technicians have helped people repair, replace, maintain, or install their new heating or cooling component. We can help you with your air conditioning, heating, furnace, or water heater, so you and your family are able to stay comfortable the whole year. We have even developed the Comfort Club maintenance plan to ensure our customers’ HVAC systems are in proper working order along with discounts on repairs and priority scheduling. If you are ever in an emergency situation with your HVAC system, we a technician who is on call 24 hours a day.